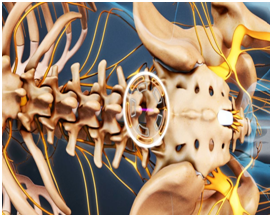 Microdiscectomy, is a surgery performed on patients with a herniated lumbar disc. 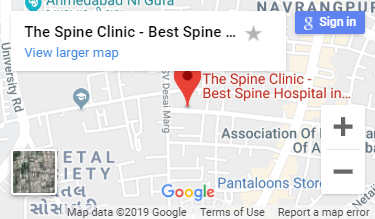 In this small open surgicall procedure using magnification(microscope), a specialist will expel segments of the herniated disc, which is pinching the nerve, so that pressure could be released from the spinal column. Sciatica is severe pain condition caused by the herniated lumbar disc on the spinal nerve. If your pain because of sciatica keeps going over 12 weeks, despite conservative management, a Micro Discectomy may benefit you. How is Microdiscectomy actually performed? Microdiscectomy has clear objective to remove disc material, which causes pressure on the nerves. • A patient lies face down procedure starts with general anaesthesia. • Anaesthesia makes patients unconscious and unable to feel anything. • The surgeon makes 1 to 1 ½-inch incision on the affected disc. • A lighted microscope helps the surgeon to observe the affected area. • In the procedure, the surgeon may remove the small portion of the bone to access the disc causing pressure on the root nerve. • The incision is closed with sutures. What should i expect after Microdiscectomy? Patients are ready to get up inside a couple of hours after Microdiscectomy. Patients can return home when their restorative condition is steady. Most patients leave the hospital after one to two days of the surgical procedure. Most of the patients return to light work in a. Specialists whose occupations include strenuous difficult work might be advised to think about a less strenuous activity. Patients who are much prone to infection and bleeding should avoid this procedure.